When inclement weather or other catastrophic event strikes, homeowners are often left to deal with the devastating aftermath. Their property suffered serious, if not irreplaceable damage. Their presumed next step is to simply contact their insurance companies to file claims and protect their investments. However, the property damage claims process is not so simple. From a burst pipe to a hurricane, protection from an insurer often does not come without a fight. Making timely payments on your premium leads to the assumption that you will receive coverage when you need it. Yet, insurance companies often fail to adjust claims and losses in a timely and accurate manner. In more serious cases, they outright and improperly deny, delay or underpay claims involving fires, floods, mold and other forms of damage. Dealing with them directly puts you at a disadvantage and fearful that your policy may be canceled if you pursue compensation. That is where we come in to help. At The Rain Law Firm, our lawyers take on the legal “heavy lifting” and remove the aggravation that comes with handling the claims process on your own. Our goal is simple: Hold insurance companies to their end of the bargain and secure the compensation you deserve for the losses you suffered. When first purchasing your police, your insurer likely vowed that they would be “there for you.” Our job is to make them keep that promise. 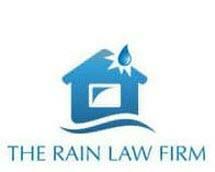 The Rain – an acronym for “Representing Aggravated Insureds Nationwide” – Law Firm helps homeowners in Jacksonville, all Florida counties, and nationwide.